4.5 oz. 100% combed ringspun cotton (Heather is 93/7) jersey. 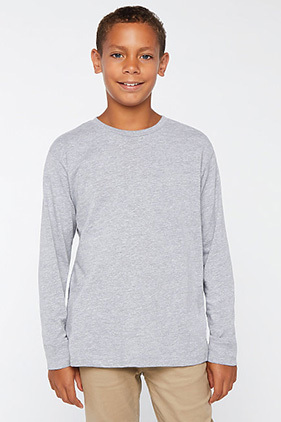 Ribbed crew neck and cuffs. Taped shoulder-to-shoulder with EasyTearTM label. Double-needle hem bottom. White is sewn with 100% cotton thread.